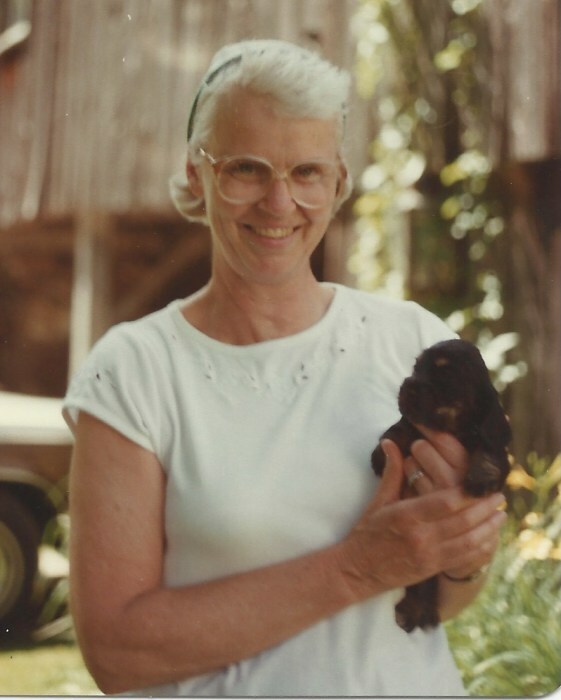 Mary “B” Howe, resident of Peterborough, NH passed away on January 21, 2019. B was born on November 12, 1926 in Dover, Mass to Christiana and Nelson Bartlett as the youngest of five children. She grew up in Dover and attended the Charles River School, Windsor School, Westover School, and Radcliffe College. She was a superb athlete who reveled in regularly hitting home runs out of the Windsor School ball park. She cut her college education short to work as a nurses aide during World War II. spaniels ,and thoroughly enjoyed being known as the “bird lady” as she bred exotic finches and canaries. She shared her love of birds with Cedarcrest Center for Children with Disabilities where she built and maintained an aviary for residents and visitors for many years. B was pre-deceased by her husband in 2017 and is survived by her three children David Jr., Sharman, and Nelson and her 8 grandchildren. A celebration of her life will be held at St. James Church in Keene, NH on Feb. 15 at 1pm. B has asked that any donations in her name be made to the Alzheimer’s Association at alz.org.